Explore and shop our Holiday Exhibition for unique gifts for the holidays. Our member artists offer a range of beautiful and fun items from artwork in all media to handmade ornaments and fine jewelry. We have handmade cards, handcarved ornaments, knit hats, pottery and more. 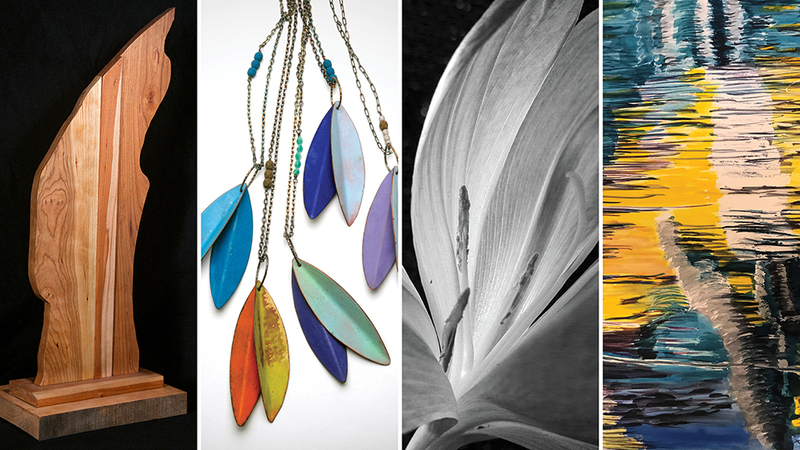 Our galleries are the perfect place to shop or take a break from the holiday madness!